OXFORD, Miss. – A who’s who of the international magazine industry will be at the University of Mississippi from April 23 to 25, but it won’t be the movers and shakers of publishing who will be in the spotlight. 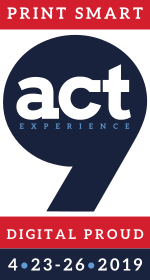 The real stars of the show, according to ACT 9 Experience founder and coordinator Samir Husni, are the Ole Miss students. Activities begin Tuesday (April 23), with an opening gala for registered participants, featuring welcoming remarks by Oxford Mayor Robyn Tannenhill and UM Provost Noel Wilkin and keynote speaker Stephen Orr, editor in chief of Better Homes and Gardens. Click here to see the entire agenda. A recent headline in The New York Times “Does Anyone Collect Old Emails?” started me thinking of the best way for folks to collect their memories and to relive the precious moments of their lives from the very beginning. It should come as no surprise to anyone to find out that Mr. Magazine™ is recommending magazines as the vehicle to relive those memories… So sit back, relax and watch the video below to relive Mr. Magazine’s™ birth month of March 1953. 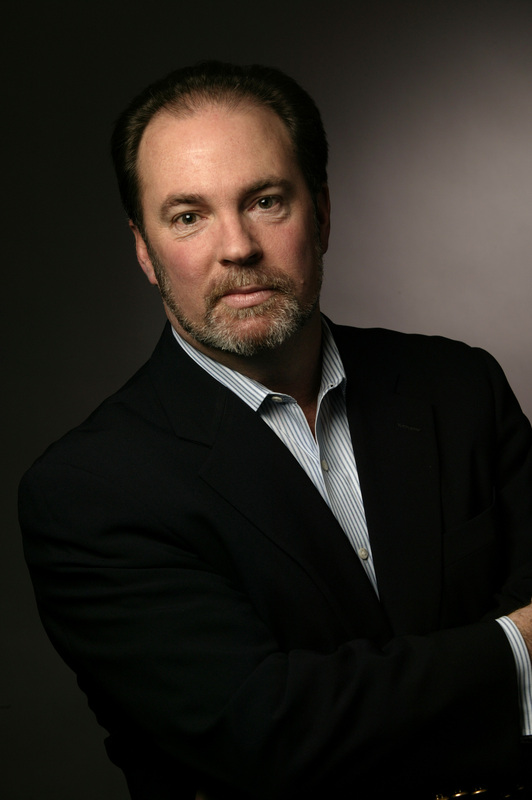 Veteran journalist Dan Goodgame has served as editor of Fortune Small Business magazine and was also the Washington bureau chief for Time magazine. He comes to Texas Monthly after nine years as vice president for executive communications at Rackspace, a San Antonio–based cloud computing company, but also with over 30 years of newsroom experience. Suffice it to say he knows a thing or two about how to tell a good story. In fact, his vision for the legacy brand includes continued storytelling with a new emphasis on scoops and angles on stories that may have lived already, but haven’t been told in the way a new point of interest can highlight them. I spoke with Dan recently and he enlightened me to many things about Texas Monthly, one of which is a new online-first strategy that will feature stories in a different way than the print magazine and allow him to see the metrics and see just how the piece works first online. And while he is a firm believer in the power of digital, he is also a tried and true print believer as well and plans to continue the 46-year audience relationship with the ink on paper magazine that has served the distinctive state for almost half a century. So, I hope that you enjoy this Mr. Magazine™ interview with a man who is a Rhodes scholar, has interviewed and profiled six U.S. presidents, as well as former secretary of defense Robert Gates, former Fed chairman Alan Greenspan, Apple founder Steve Jobs, media titan Rupert Murdoch, former secretary of state Colin Powell, golfer Tiger Woods, and former Iraq president Saddam Hussein, and who is now editor in chief of Texas Monthly, Dan Goodgame. And Mr. Magazine™ might add one heck of a storyteller. On his plan as editor in chief to protect and promote the brand going forward: The mission won’t change very much from what it was when it was founded 46 years ago, and that’s an amazing number to me; you think about how many publications have risen and fallen over 46 years and Texas Monthly is running strong. And the reason is that it has always set out to provide the best storytelling about Texas and the best-informed advice about how to enjoy everything the state has to offer. On whether we’re going to see the combination of politics and business from his background seeping into the pages of Texas Monthly: Yes, you will. Texas Monthly has almost always emphasized the coverage of politics, particularly I would say of power, all the way from fast express to the often real power behind a particular decision in the legislature among the congressional delegation, which can be wealthy people who hand out a lot of campaign contributions; it can be a really influential church in a particular congressional district, so we’re interested in all of that. On the secret sauce that’s keeping the print edition growing, while also expanding into digital with podcasts and all of the other platforms: We’ve faced challenges financially as a business that are similar to those faced by others who deliver journalism across platforms, across online, print, live events, podcasts, and video, but we have some advantages they don’t. First of all, there is such a strong Texas identity. As a Mississippi native I thought we had a really strong identity, but I have to tell you after nine years of living here, Texas has even more of that. And folks in Houston are interested in relatives and college friends who live in San Antonio and Dallas and Midland. So, they’re interested in what happens throughout the state in a way that you don’t really find in a lot of other states. On whether he has a plan that one particular story is for print and one for digital or is everything for every platform: That’s a great question, and what we’re gradually transitioning toward. We started this as soon as I got here and it’ll probably take us another couple of months, but we’re going fully web first, and I’ve done this other places that I’ve worked as an editor, where every story will go up first on the website. As soon it’s ready, it will go up on the website. And it will be presented differently there than it would be in the print magazine. And we will have an idea that a certain story would probably be good for the print magazine, but one of the things that online journalism gives you is a lot of metrics, so we’ll get to put that story up, watch it and see how it does. 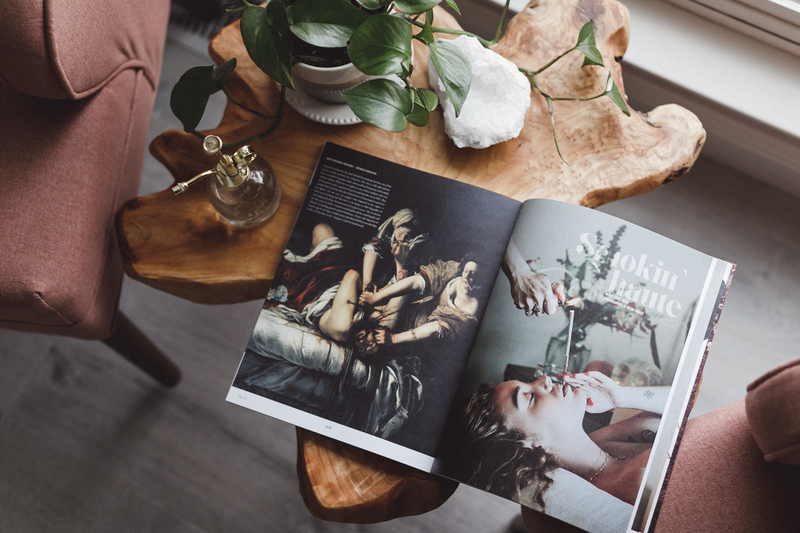 On the possibility of having the same audience that has read a story online then read it in the print magazine: It’s a great question and we have studied the overlap between print and the entire website and it’s only about 15 percent. And I had experience with this with the magazine I edited most recently at Time Inc. when we went web first, and we really didn’t get any complaints. They’ll read some of the stories that we put on the website, but they’re not going to read everything, they’ll always be surprised by something that’s in print that they didn’t catch on the website. And then they love the holding of it, the tactile experience of it, and the way the pictures jump out of the page in a way that they still don’t quite as much when you’re reading from a screen. On how he views the role of the magazine cover in today’s digital age: To me, it’s the equivalent of what you put into the window of your shop. It is what identifies you: is it a hat shop, a women’s clothing shop, a chocolate shop. So, the mix of things that we put onto the Texas Monthly cover tells people who we are, again there are 1,100 visitors a day who are arriving and asking what is this? Is this one of those things put out by the Chamber of Commerce or is it more intuitive than that, will I be able to read interesting profiles of people I might want to meet, moving to San Antonio or moving to Dallas? So, it’s really important to have a good mix of things on the cover. On whether he feels there will always be an ink on paper version of Texas Monthly: I think and hope that we will always have a print magazine as part of our platform, it may end up being a smaller circulation; it may be an opportunity for us to use a better paper, something that has much more of a value and would be something that you’d want on your coffee table. And while it will really be up to the readers, we’re kind of agnostic about that, we want to deliver great storytelling and great informed advice about how to enjoy Texas on any platform the readers want to receive it on. 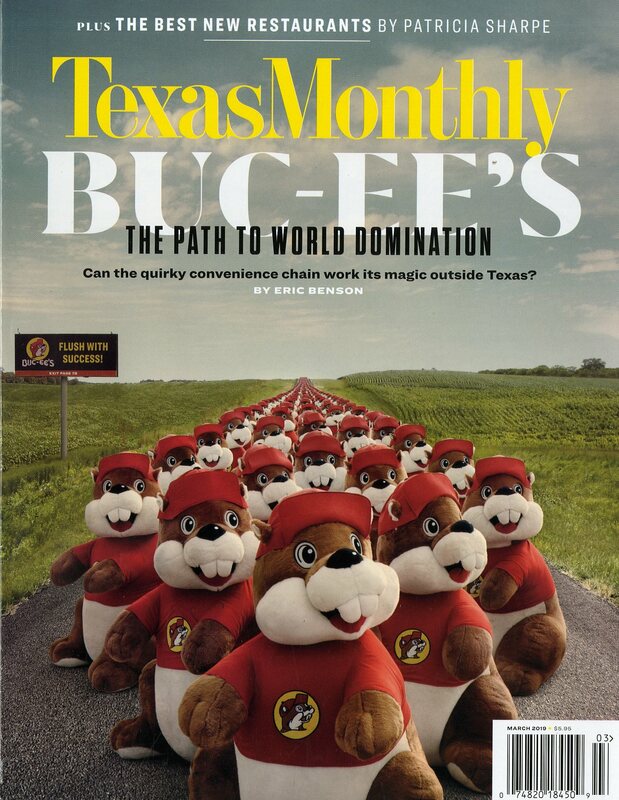 On Texas Monthly being not just a state magazine, but a bit of a national one as well: Yes, we call it the National Magazine of Texas, it kind of harkens back to the status of Texas at one time as an independent republic and a lot of people still think of it that way. And a good bit of our web traffic comes from out of state, it’s hard to measure with any precision, but it’s more than a third. People outside of Texas are very interested in this place and I think that’s an actual opportunity that we can take more advantage of. 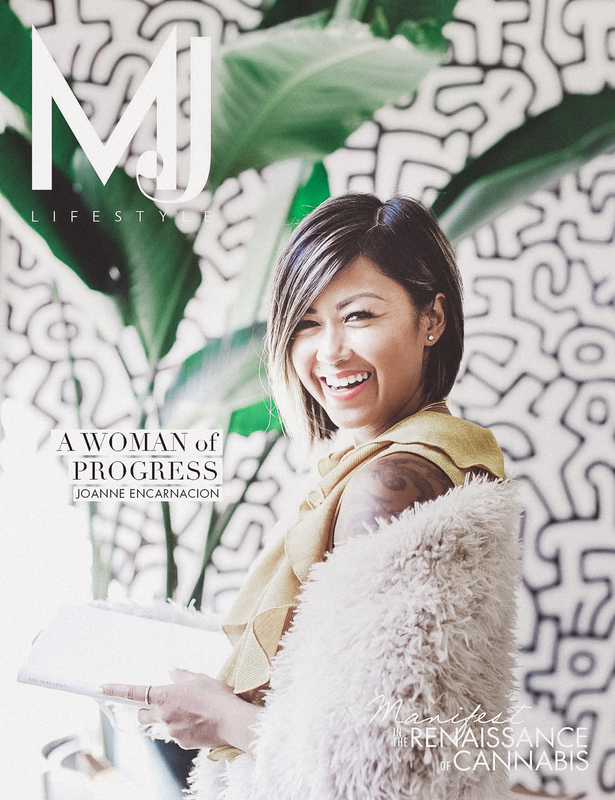 On Texas today being a majority of ethnic minorities and whether he will be casting a wider net with the magazine or targeting it toward a specific audience that has made an impact on the brand over the years: We want to cover the changing Texas; we are I think covering the changing Texas in all of its wonderful diversity. We want to become more diverse geographically, I think it’s fair to say that the magazine has overemphasized Austin, we’re based here and we’re all trained observers and we come up with certain ideas from things we hear and people we know. I had a conversation recently with one of my editors who was thinking of moving back to the city where he and his wife are from and I encouraged that, and will help with that. There are a couple of our top writers here who are thinking of moving to other cities and I want us to get out and put the whole state geographically in and all of its ethnic diversity, all of its interests. On whether he feels the role of editor has changed a lot over the years: I think a lot of the main things and the parts that I enjoy the most are still there, a good bit of everyday editing stories, one person or the other usually providing notes or guidance on the frontend of the story. I also try and get out, starting with Austin because while I’ve been in Texas for nine years I was in San Antonio, so there are a lot of folks that I need to meet in Austin, in state government and in other parts of the city. And soon I’ll start doing that in other cities. The biggest thing that’s changed I’d say is our editors and others feel pulled across many platforms. 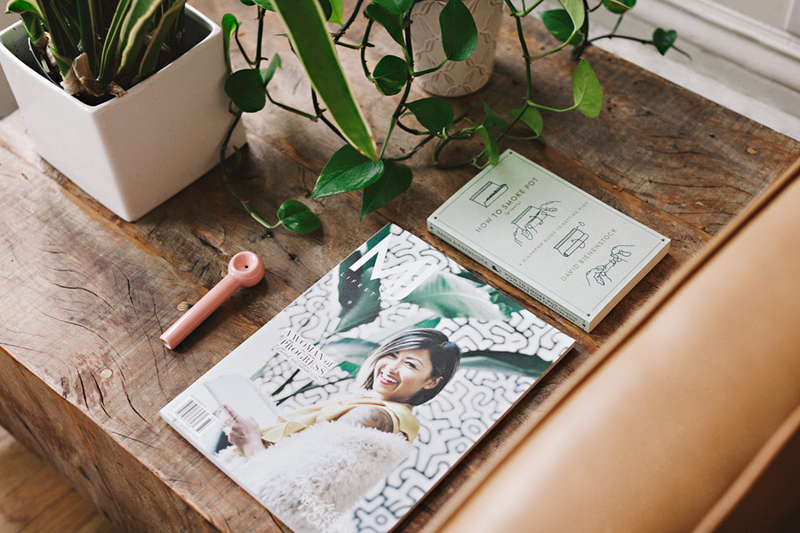 It’s different editing a print magazine than editing a website that’s changing every few minutes. And it’s different yet again developing live events and figuring out which of your journalists are good at condensing their story to an eight minute lively pitch on a stage. Some people can do that and some people can’t. On anything he’d like to add: A couple of things. One of the challenges that we face is what is a Texas Monthly story online, a news story? 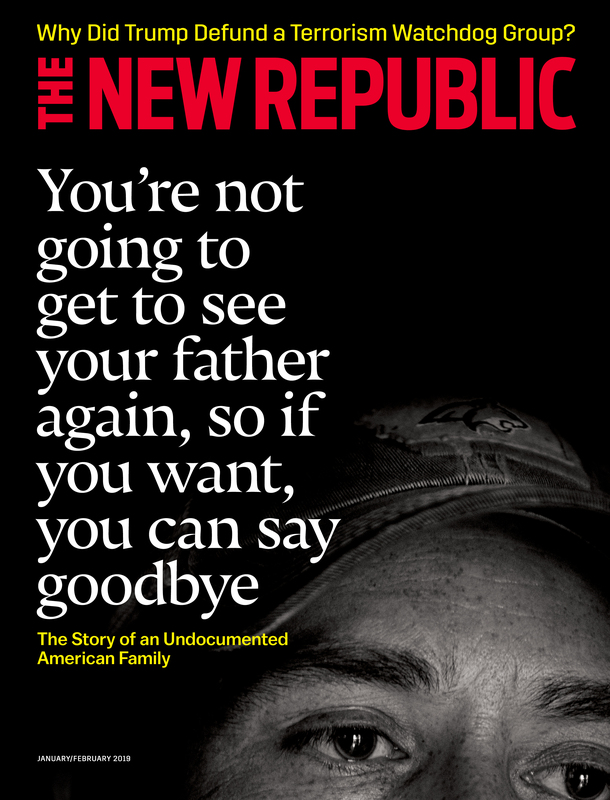 When news breaks, what distinguishes a Texas Monthly story from something that might be on Public Radio or in the Texas Tribune or from what one of the newspapers might do? And it’s really not enough for us to report the news, we need to be on the news, but one of the biggest challenges we face is that when the news breaks, the way I like to describe it is we take the attitude, and what’s implicit in our value with the reader is, of course you’ve already heard this news item, but here’s an angle that you haven’t read about and you might be interested in. On the biggest misconception he thinks people have about him: I have no idea. (Laughs) I’m just somebody who has been out of the game for nine years when I was working for Rackspace, so I’ve been welcomed as an experienced journalist and as somebody who has kept up with what’s happening with journalism online and at live events and podcasts and that sort of thing by what is a much-younger staff, so that was a concern I had. But people have been very welcoming and I try and be very transparent about what I don’t know and ask a lot of questions and people have been willing to teach me things. On what someone would find him doing if they showed up unexpectedly one evening at his home: I’m an evening workout guy, so I work a pretty long day. And depending on what time you came, I might have a business-social engagement like a business dinner I would have to go to, but usually I go to the gym and then get something small and quick to eat and then read. I just have a lot to learn about Texas and about the different subcultures here, there are some cities I know way less well than others, and so just reading both in print and online to try and learn more for the job. And I actually don’t think of that part as work, that part is just fun for me. I’ve always been a learner and have enjoyed learning new things and reading. On what he would have tattooed upon his brain that would be there forever and no one could ever forget about him: Storyteller. I think that’s the way many of my friends would describe me. I love hearing stories; I had the great good luck to grow up in a family of enthusiastic storytellers and yes, southern storytellers and that kind of rambling, funny discursive way. That’s one of the other things I do socially with friends, is encourage people to tell stories and swap those with them. So, I think that’s what people would say and I’d be happy to have that on my gravestone. On what keeps him up at night: I’d say it’s are we making the transition? As our readers move from print to other platforms, primarily the website, are we making the transition rapidly enough and well enough to sustain quality journalism financially? Because as you know, even as the readers move, even as Texas Monthly has way more readers than it has ever had in its history when you combine print and online and the other platforms, the advertisers do not move quite as easily. And now the lightly edited transcript of the Mr. Magazine™ interview with Dan Goodgame, editor in chief, Texas Monthly. Samir Husni: Texas Monthly is a very well-known brand and in fact recently was on the morning news referring to the statistics that Texas Monthly provided about the immigrants coming to the country. As the new guardian, the new editor in chief of the magazine, what’s your plan to protect this brand and to promote this brand going forward? Dan Goodgame: The mission won’t change very much from what it was when it was founded 46 years ago, and that’s an amazing number to me; you think about how many publications have risen and fallen over 46 years and Texas Monthly is running strong. And the reason is that it has always set out to provide the best storytelling about Texas and the best-informed advice about how to enjoy everything the state has to offer. So, we’ll have the same broad mix of narrative stories and those will be about everything from crime to medical research, personality profiles, investigative pieces, on the one hand, and then on the other hand great stories about travel, music, style, design, hunting, fishing, food, and of course barbeque. One thing I’m very proud of about this job is to be the editor of the only magazine I know of in the world that has a dedicated barbeque editor. Samir Husni: You bring to the job a political background, you were the Time magazine Washington correspondent for years, and a business background, you were the editor in chief of Fortune Small Business, are we going to see this combination of politics and business from your background seeping into the pages of Texas Monthly? Dan Goodgame: Yes, you will. Texas Monthly has almost always emphasized the coverage of politics, particularly I would say of power, all the way from fast express to the often real power behind a particular decision in the legislature among the congressional delegation, which can be wealthy people who hand out a lot of campaign contributions; it can be a really influential church in a particular congressional district, so we’re interested in all of that. I think there was a brief period when one of our editors was at least quoted as saying, Texans aren’t interested in politics and I think he was being provocative and what he was trying to say was that they’re interested in issues behind politics. 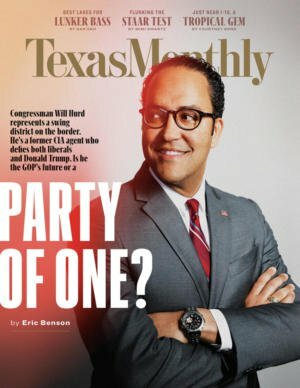 We’re definitely interested in politics; we have Congressman Will Hurd on the cover of the current issue, and we were way ahead on Beto O’Rourke, including an award-winning podcast called “Underdog” about him, and the hilarious Fake Beto Diaries during that period when he was trying to find himself and decide whether to run. One of our young writers here has written just a hilarious series of Fake Diaries from Beto on the Road. But yes, I think that’s something that in recent years we haven’t covered as much as Texans would like. You think about the topics on which Texans’ interests over indexes people in other areas, I think business and entrepreneurship would definitely be two of them, and I do think of those two things separately. We have more Fortune 500 companies headquartered in Texas than has ever been in New York and that’s what people here call “Bigness” and that’s big companies, including iconic Texas companies like Southwest Airlines and American Airlines. Then you have such energy and vitality in Austin, around technology and also San Antonio increasingly around technology and Dallas. A whole lot of different kinds of technology around medicine and biotech in Houston and San Antonio in particular. And then the technologies around oil and gas extraction, fracking and then new ways of recycling the frack water, reducing the environmental impact. So, I think there are a lot of stories there for us to cover. Samir Husni: You mentioned that the magazine is almost 50 years old and still going strong, it’s almost 170 or 180 pages in print; what do you think is the secret sauce that’s keeping the print edition growing, while also expanding into digital with podcasts and all of the other platforms? 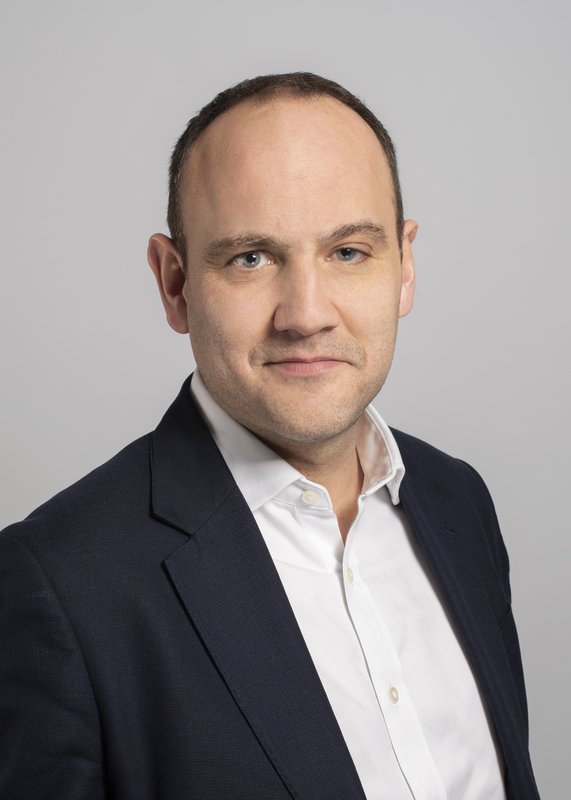 Dan Goodgame: We’ve faced challenges financially as a business that are similar to those faced by others who deliver journalism across platforms, across online, print, live events, podcasts, and video, but we have some advantages they don’t. First of all, there is such a strong Texas identity. As a Mississippi native I thought we had a really strong identity, but I have to tell you after nine years of living here, Texas has even more of that. And folks in Houston are interested in relatives and college friends who live in San Antonio and Dallas and Midland. So, they’re interested in what happens throughout the state in a way that you don’t really find in a lot of other states. And we have newcomers arriving at the rate of 1,100 a day here, so there are a lot of people who are moving here and want to learn about the place and find the right neighborhood for them, and where are the best swimming holes, places to hike, restaurants, that growing potential audience here. We now have four of the top 11 largest U.S. cities, our economy would be ranked number 10 in the world if it were its own country. I think we’re also the place a lot of the rest of the country is watching as cutting edge in several ways. Two-thirds of the school children in Texas are Hispanic, Black or Asian, it’s what used to be called minorities but the schools will soon be, in long-term trends, a minority state, and how that’s being handled is a very interesting story for Texans and I think people outside Texas as well. So, those are the advantages we’ve got and we’re in town taking advantage of them. Our print subscriber base is decreasing slowly, but it’s decreasing as those arenas move online. Our website is growing rapidly and we set a record back at the time of Hurricane Harvey because we had excellent coverage of that. And in February we came within two percent of that record, in terms of unique visitors. One of the most encouraging things as I dive into those numbers is not just the number of unique visitors, it’s the number of people who may come in on a news story and then their second read will be a 10,000 word long-form narrative piece by one of our award-winners like Skip Hollandsworth or Mimi Swartz, and they will stay six to ten minutes on that story, and you know how unusual that is. Samir Husni: Once, you and I talked about the art of storytelling and that will never fade away regardless of the platform. When you make the decision that “this” is going to be my cover story, “this” is going to be on the web or on digital, do you have something as your plan when you meet with your staff that something in particular is for print or is everything for every platform? Dan Goodgame: That’s a great question, and what we’re gradually transitioning toward. We started this as soon as I got here and it’ll probably take us another couple of months, but we’re going fully web first, and I’ve done this other places that I’ve worked as an editor, where every story will go up first on the website. As soon it’s ready, it will go up on the website. And it will be presented differently there than it would be in the print magazine. And we will have an idea that a certain story would probably be good for the print magazine, but one of the things that online journalism gives you is a lot of metrics, so we’ll get to put that story up, watch it and see how it does. 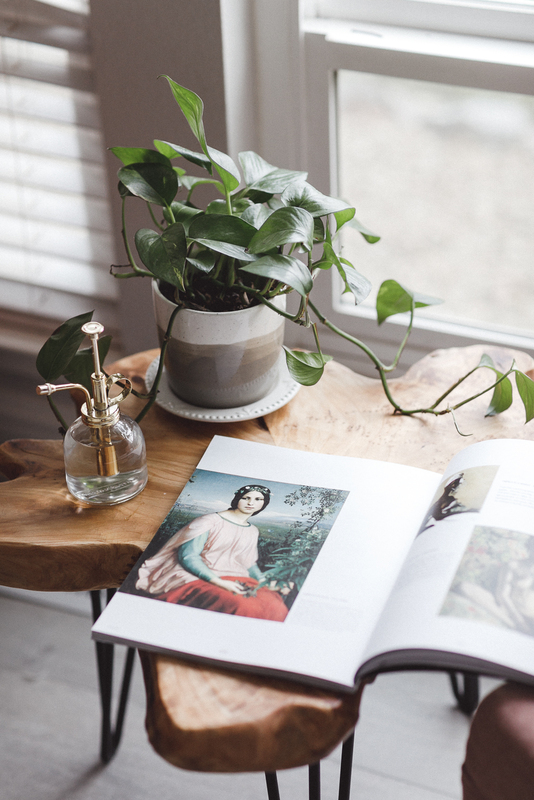 It doesn’t necessarily have to bring in a lot of great page views, but if a significant portion of the readership is going deep on it, staying with it for six to ten minutes, that’s an important thing for us to know. And if it’s not getting either of those things, if it’s not getting a broad readership or an intense readership, then we need to rethink what we thought when we first assigned that story. Maybe that one doesn’t go online and then we’ll present them very differently in print than we did on the website. One of the metaphors that we use is that we have this rigorous storytelling that we’re engaged in preparing across the state and the river flows first to the website and from that there are branches flowing to the print magazine, to our live events, which we’re expanding from two last year to six this year in major cities around Texas, and also to the podcast business that we’re just now getting into, but that we think is a really promising outlet for our storytelling. Samir Husni: You mentioned the river, and a Greek philosopher once said that no one can cross the same river twice, because the water keeps changing. Can your readers cross the same river twice? If they pick up the magazine, what are the possibilities that you have the same audience that has read the story online, then why is it in the magazine? Dan Goodgame: It’s a great question and we have studied the overlap between print and the entire website and it’s only about 15 percent. And I had experience with this with the magazine I edited most recently at Time Inc. when we went web first, and we really didn’t get any complaints. They’ll read some of the stories that we put on the website, but they’re not going to read everything, they’ll always be surprised by something that’s in print that they didn’t catch on the website. And then they love the holding of it, the tactile experience of it, and the way the pictures jump out of the page in a way that they still don’t quite as much when you’re reading from a screen. Samir Husni: In this digital age, and it would take someone from Mars or Venus to not know we’re living in a digital age, how do you view the role of the magazine cover? What does the cover of Texas Monthly represent today compared to a few years back, pre-digital? Dan Goodgame: To me, it’s the equivalent of what you put into the window of your shop. It is what identifies you: is it a hat shop, a women’s clothing shop, a chocolate shop. So, the mix of things that we put onto the Texas Monthly cover tells people who we are, again there are 1,100 visitors a day who are arriving and asking what is this? Is this one of those things put out by the Chamber of Commerce or is it more intuitive than that, will I be able to read interesting profiles of people I might want to meet, moving to San Antonio or moving to Dallas? So, it’s really important to have a good mix of things on the cover. So, if you look at the two I have done since I’ve been here, the first one was about this iconic Texas business called Buc-ee’s, which is really hard to describe to people from outside the state, but the cities are far apart here and people drive a lot among them and Buc-ee’s are strategically located, giant convenience stores with lots of gas pumps, spotless restrooms, and custom-made jerky and lots of Texana products. And it’s thriving here and about to move into the rest of the south. So we thought that would be an interesting story for the cover. Texans who have been here for a while will be interested and newcomers will be interested too, which signals the kind of magazine we have. We will still be putting barbeque on the cover periodically, because that is something that Texans are hugely interested in. Samir Husni: As you move forward and put your own imprint upon the magazine, do you feel that this web-first approach that you’re using will one day become the most dominant part of Texas Monthly, or will we always have an ink on paper version of the magazine? Dan Goodgame: I think and hope that we will always have a print magazine as part of our platform, it may end up being a smaller circulation; it may be an opportunity for us to use a better paper, something that has much more of a value and would be something that you’d want on your coffee table. And while it will really be up to the readers, we’re kind of agnostic about that, we want to deliver great storytelling and great informed advice about how to enjoy Texas on any platform the readers want to receive it on. And that’s why we’re still investing a lot in the print magazine, we’re standing rapidly on the website; we’re tripling the number of live events that we do this coming year where we bring the magazine to life with our journalists and our sources, even in the bands that we cover. And as I mentioned, we’re very encouraged by the prospects of doing podcasts. Samir Husni: Texas Monthly is one of the few, if not the only, state magazine that is national in one way or the other. Dan Goodgame: Yes, we call it the National Magazine of Texas, it kind of harkens back to the status of Texas at one time as an independent republic and a lot of people still think of it that way. And a good bit of our web traffic comes from out of state, it’s hard to measure with any precision, but it’s more than a third. People outside of Texas are very interested in this place and I think that’s an actual opportunity that we can take more advantage of. Samir Husni: With the changing mix of Texas becoming a majority of minorities, how will that be reflected in the magazine, or will you be laser-targeting a specific audience that has left an impact on the magazine throughout the years? Dan Goodgame: We want to cover the changing Texas; we are I think covering the changing Texas in all of its wonderful diversity. We want to become more diverse geographically, I think it’s fair to say that the magazine has overemphasized Austin, we’re based here and we’re all trained observers and we come up with certain ideas from things we hear and people we know. I had a conversation recently with one of my editors who was thinking of moving back to the city where he and his wife are from and I encouraged that, and will help with that. There are a couple of our top writers here who are thinking of moving to other cities and I want us to get out and put the whole state geographically in and all of its ethnic diversity, all of its interests. We have a midterm report coming up, we do the best barbeque places every four years, and at the midterm we have the best new ones. And a lot of the new ones have an international flavor. There’s Korean-influenced barbeque, Japanese-influenced barbeque, German, you name it. And we want to cover that. Houston is one of the most diverse cities in the world and we want to cover that more carefully. And one of the things that’s going to require from us is becoming more diverse on our staff, because we’re woefully short on that. That’s a big challenge for us as it is I think for a lot of folks, but it’s more important for us than most publications just for the reason you cited, which is this state is becoming more diverse more rapidly than any other. Samir Husni: You’ve been an editor for a long, long time; how is the job of an editor today different than when you were editor of Fortune Small Business? Are you still doing the same thing you did or do you feel that the responsibilities of today are much more than what they were back then? Dan Goodgame: I think a lot of the main things and the parts that I enjoy the most are still there, a good bit of everyday editing stories, one person or the other usually providing notes or guidance on the frontend of the story. I also try and get out, starting with Austin because while I’ve been in Texas for nine years I was in San Antonio, so there are a lot of folks that I need to meet in Austin, in state government and in other parts of the city. And soon I’ll start doing that in other cities. I have a visit to Houston coming up to do more of that, but I’m just sitting down with people and learning and getting to know them and trying to make sources, and it has already produced some story ideas. One of the scoops that we had recently on the website and then a version of that in the print magazine, was about the high stakes test that all of the school kids have to take in Texas. And it turns out that they’ve been giving the fifth grade test to third graders and the seventh grade test to the fifth graders, so that would help explain why some politicians like to wave around those test results and say that only 40 percent of Texas kids are reading grade level. Well, this appears to be a big part of the explanation as to why. And that just came out of a meeting that I had with someone who was explaining school finance to me. And that’s an important part of the role of an editor too I think, is to develop sources and to develop story ideas. I reach out to several readers, people who have written into us or people who have been covering the magazine. I ask them what they think when they’re treated fairly; what they like about the magazine; what they dislike; what should we add, those parts of the job are very similar. The biggest thing that’s changed I’d say is our editors and others feel pulled across many platforms. It’s different editing a print magazine than editing a website that’s changing every few minutes. And it’s different yet again developing live events and figuring out which of your journalists are good at condensing their story to an eight minute lively pitch on a stage. Some people can do that and some people can’t. Podcasts are a really different thing with the need for high quality sound gear and gathering ambient sound and editing the strips and having the timing of them. That’s one of the big differences, learning how to tell stories differently across all of those platforms and then helping the staff learn that. Samir Husni: Once you are able to do all of these different skills, do they pay you four times what they paid you when you were just doing a few of them? Dan Goodgame: (Laughs) I was working for a cloud computing company for a few years after 30 years in journalism and did that very happily, helping them tell their story in San Antonio, and I took a pay cut to come here and did so happily. It’s important work; it’s fun work, and it’s really an honor to be at a 46-year-old magazine with the storied history that Texas Monthly has. I’m not in this for the money and I think most people who work here aren’t. Dan Goodgame: A couple of things. One of the challenges that we face is what is a Texas Monthly story online, a news story? When news breaks, what distinguishes a Texas Monthly story from something that might be on Public Radio or in the Texas Tribune or from what one of the newspapers might do? And it’s really not enough for us to report the news, we need to be on the news, but one of the biggest challenges we face is that when the news breaks, the way I like to describe it is we take the attitude, and what’s implicit in our value with the reader is, of course you’ve already heard this news item, but here’s an angle that you haven’t read about and you might be interested in. For example, when the Feds began freezing property along the Southern border to build the Wall, that was a news item, when the first eminent domain notices started going out, others had reported that, but we looked back at some of the politicians in Texas who were raising hell with those eminent domain issues in the Red River Valley are now suddenly silent when it’s happening at the other end of the state. So, it’s providing that kind of angle. And where that comes from is I think two places, one is context; we have good expertise in quite a few areas but more importantly there are Texans on our staff. And then there are areas where we lack expertise and where we need to find it and develop it. So that context comes as soon as the news breaks and someone knows that here’s an angle that hasn’t been covered, here’s what Texas Monthly is doing on this. And then the second thing is just having better story systems that everybody else. The beat system has broken down at a lot of newspapers and there’s a great opportunity for us to go back to that, to go back to great beat reporting and just developing deep expertise and deep sourcing so that we can add something to every story that breaks. So, that’s a big challenge. And we put a fresh emphasis on scoops and we’ve had several in the short time that I’ve been here that have gotten us noticed and have been picked up in the Washington Post and The New York Times and other places where we were competitive with them on stories and worked through the weekend to get a story done. I’ve been very pleased with the staff’s response to that and their interest in being competitive. Our attitude is Texas is our gym. The New York Times does not get to come into our gym and win a game. Of course, occasionally they will, but that’s our attitude. We’re supposed to win here. Dan Goodgame: I have no idea. (Laughs) I’m just somebody who has been out of the game for nine years when I was working for Rackspace, so I’ve been welcomed as an experienced journalist and as somebody who has kept up with what’s happening with journalism online and at live events and podcasts and that sort of thing by what is a much-younger staff, so that was a concern I had. But people have been very welcoming and I try and be very transparent about what I don’t know and ask a lot of questions and people have been willing to teach me things. Dan Goodgame: I’m an evening workout guy, so I work a pretty long day. And depending on what time you came, I might have a business-social engagement like a business dinner I would have to go to, but usually I go to the gym and then get something small and quick to eat and then read. I just have a lot to learn about Texas and about the different subcultures here, there are some cities I know way less well than others, and so just reading both in print and online to try and learn more for the job. And I actually don’t think of that part as work, that part is just fun for me. I’ve always been a learner and have enjoyed learning new things and reading. Dan Goodgame: Storyteller. I think that’s the way many of my friends would describe me. I love hearing stories; I had the great good luck to grow up in a family of enthusiastic storytellers and yes, southern storytellers and that kind of rambling, funny discursive way. That’s one of the other things I do socially with friends, is encourage people to tell stories and swap those with them. So, I think that’s what people would say and I’d be happy to have that on my gravestone. Dan Goodgame: I’d say it’s are we making the transition? As our readers move from print to other platforms, primarily the website, are we making the transition rapidly enough and well enough to sustain quality journalism financially? Because as you know, even as the readers move, even as Texas Monthly has way more readers than it has ever had in its history when you combine print and online and the other platforms, the advertisers do not move quite as easily. And so we need to achieve a certain volume online; our advertising is growing very rapidly, above target, over the last couple of months, which has been a nice surprise, but we have to have that happen pretty rapidly to be able to sustain quality journalism, so that’s one of the concerns I have. I spoke with Editor in Chief, Rosie Blau and Publisher, Mark Beard recently and we talked about this taboo thing called long-form journalism online. Rosie explained that in 1843’s case, readers loved the meatier stories, the long-reads that keep them enthralled and begging for more. And with a redrawn logo and the tagline “Stories of an extraordinary world,” 1843 begins its new journey down a path that puts stories first and allows readers to be surprised and delighted by what they find along the way. Mark explained that one of the excitements lay in the new incorporation of 1843’s app within The Economist’s app, and while the intricacies of the actual transfer of content was a bit hair-raising, it was well worth a few sleepless nights. Rosie said the goal of the new design and compelling content was to make readers question assumptions and take a sideways look at the enduring stories of our age, with a bit of humor and irreverence. And Mark added that all of those great stories can now be enjoyed by even more readers since all editions of 1843 will be included in The Economist’s classic app. And with a powerhouse like The Economist behind you, there is no way to go but up and all over the world. 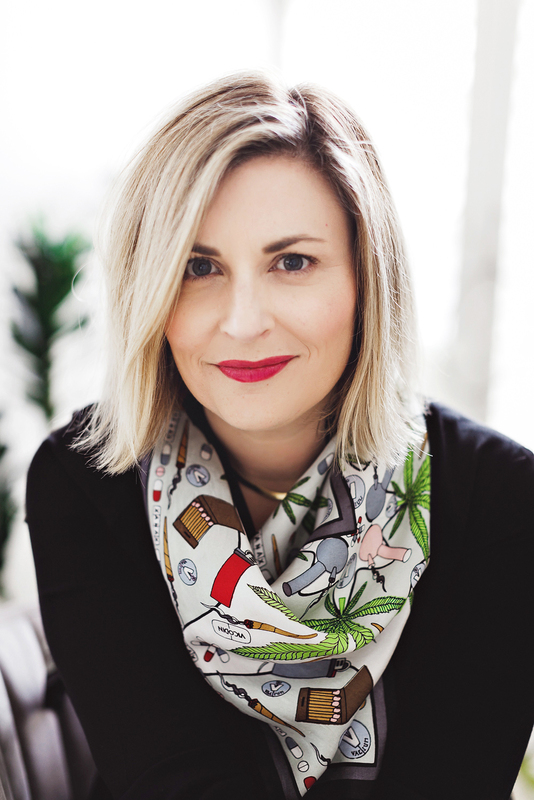 So, I hope that you enjoy this delightful interview with our friends from across the pond, Rosie Blau, editor in chief, and Mark Beard, publisher, 1843 magazine. 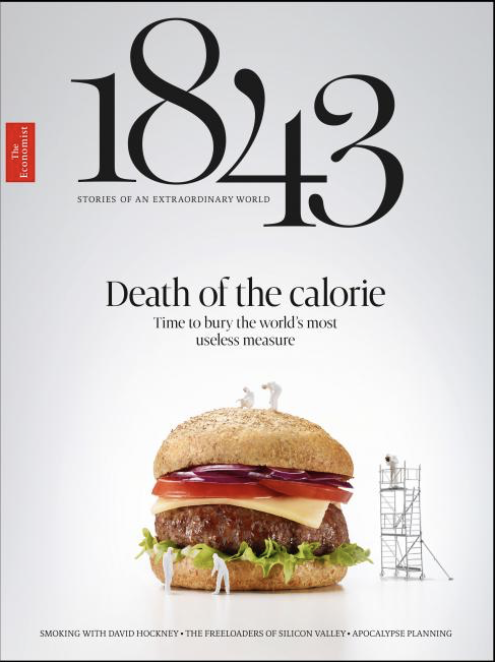 On why the relaunch of 1843 is getting so much media attention: because of the refinement of James Wilson’s vision or because it’s part of The Economist (Rosie Blau): Obviously, we like to think that it’s a brilliant magazine that deserves the media attention in its own right, but it’s always wonderful to have the backing of a well-respected and already well-established and well-known brand behind us. So, we’re very lucky. On why the relaunch of 1843 is getting so much media attention: because of the refinement of James Wilson’s vision or because it’s part of The Economist (Mark Beard): From the commercial perspective, it’s because we’ve kind of captured the mood in the sense of many publishers and that is, there is a need to change the business model and create content that readers and advertisers can engage with in different ways. And I think one of the reasons why we are seeing so much attention from the readers is that we are doing lots of that all in one go. So, publishers around the world are looking at how they can create film content and podcast content and they can place their content in digital environments like apps and online. On the relaunch including the 1843 becoming bigger and more dominant on the cover and what they are trying to achieve with 1843 as a brand (Rosie Blau): The cover has been a big part of the discussion, obviously, about what we want to do as a magazine. For me, the goal to create the cover represented many different things that we were trying to do. My aim is that when you extend 1843 in whatever format, you find it surprising, it makes you smile and it leaves you with something that you want to share. It should be funny, but it should also be beautiful. And those are a lot of things to try and get into one place. 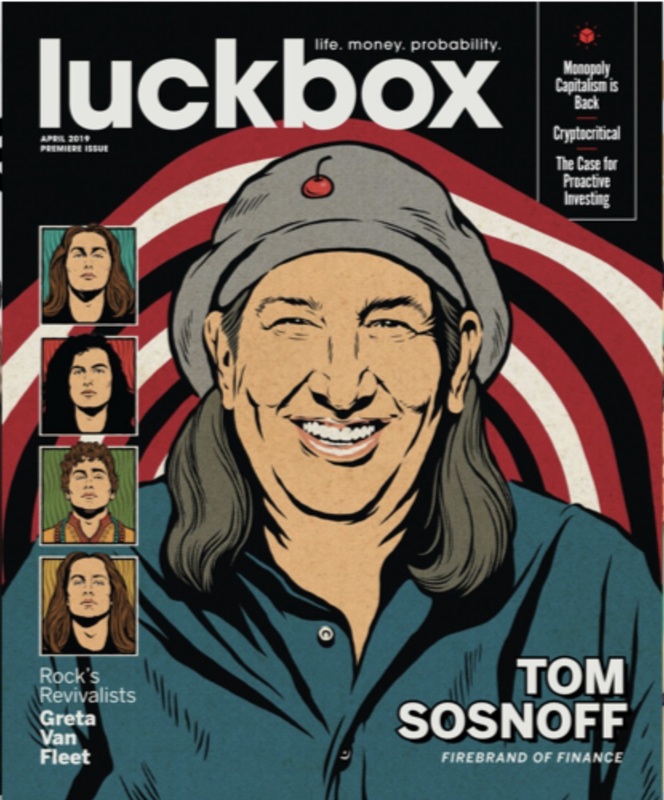 On whether she thinks the role of the magazine cover in this crowded information age has changed at all (Rosie Blau): I think it has changed because as you say it’s such a crowded market. But I think it’s also in that crowded market, as I said, there are these shorthand’s that we use to signal what we are. And so it’s difficult; interesting, but difficult, to signal that we’re something different. So, to me this is a move in that direction. On the business model for 1843 (Mark Beard): The relaunch is going to enable us to do two things and that is bolster reader revenue and advertising revenue. So, one thing that we are seeing is that both readers and advertisers are wanting to engage with audiences in a range of platforms and by relaunching 1843 on a number of platforms, we make those platforms available to advertisers and that will bolster advertising revenue. But also we make the content more engaging to readers too and they can read us where they want to read us. On whether her stories-first approach is similar to an audience-first approach (Rosie Blau): The thing about the stories-first approach is that the idea is there are really exciting things that we don’t tend to think about. And so for me, if I’m thinking what do the readers want or what do the audiences want, I don’t know that they know what they want. Part of the point is to challenge and surprise them, and it’s hard to think, okay, we know that this is something that they want, we know that they want more stories about hem lengths or whatever. So, I think what we’re trying to do is trust our intuition. For me, being a journalist is all about trusting your intuition, but there is something interesting here and let me find out more. And that’s really what we’re going with, kind of looking at these stories and thinking in what way can we push them and in what ways might we see them. So, that’s the stories-first approach. On the genesis of the tagline: Stories Of An Extraordinary World (Rosie Blau): What that comes from, it was a very hard thing to come up with, and one of the other contenders was: Life, The Untold Story. What we feel we do best and what we really show in common with The Economist is this idea of challenging and posing and questioning assumptions. And our subject is “your world” and “your stories” and “the world that you experience.” And so my main aim is to be looking at the things that we take for granted, the things that we see around us, the issues of our day and the enduring issues of our time, and try and look at them in new and different ways. On how it feels to be publisher of a global brand (Mark Beard): I’m obviously very proud to be publisher of 1843. It’s a job that I hoped I would get at some point in my career, so I’m very proud to have the role. One of my other roles at The Economist is I have past experience marketing for The Economist. And of course, The Economist is also global. So, I’m very used to operating in a global environment and the basics and challenges that come with that. And trying to benefit from being able to roll things out globally while understanding that there are local nuances to what you need to do to perform effectively around the world. On the biggest challenge they have had to face (Mark Beard): One of the things that you’ll see if you were to open The Economist’s app today is that 1843 now sits within The Economist’s app, which enables many of our subscribers to The Economist to also benefit, read and engage with 1843 content. And that might look like a relatively simple process, a good strategy and relatively simple on the surface, but you can well imagine that working with the tech teams and the editorial teams to move content from one platform to another is not simple and that’s been challenging, but also rewarding because we’ve been told by a number of people that what we’re doing is cutting edge. And creating an app environment where our consumers can consume all of our content in one place is something that is added again, as I understand it. On having a long read section on the web and whether she knows something others don’t when it comes to the thought that snippets of information are better-suited for the web (Rosie Blau): Do I know something that others don’t? Well, I don’t know, but what I do know is that with our content over recent years, the long reads are the things that people read most, read for longer, depending on how long they are. Our most popular stories are always our long reads. So for us, it’s a question of how we do more of it, not how we do less. And we actually find that the snippets often don’t do nearly as well, even things that we think might do well. So, our experience is that long reads do extremely well online and if we have the resources to do more of those, then we will. 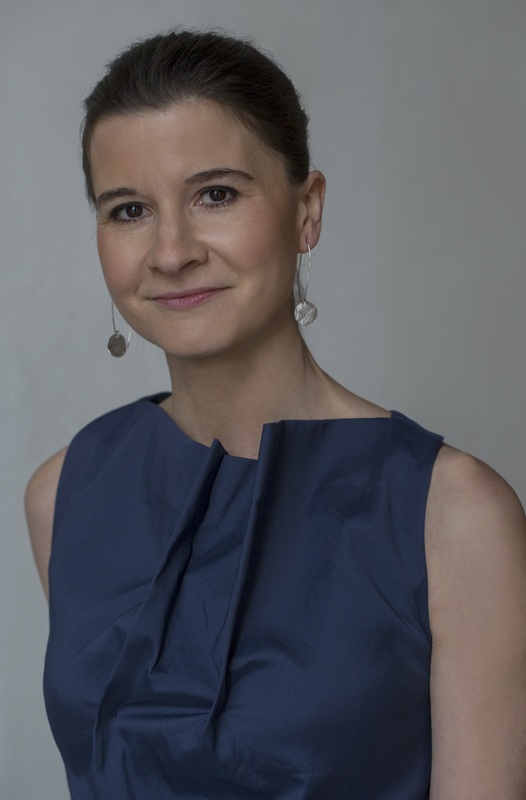 On how she differentiates the long reads online from the long reads in print (Rosie Blau): Some of it is exactly the same and the features that we run in print also go online, and those are extremely popular typically and continue to be popular. But we don’t have a distinct form for long-form features online versus in print. There are a lot of things that we’re thinking about, different types of long reads that we might do for online only to help us be more timely, and things that work better for an online audience than in print, because we have quite a long delay even between going to press and coming out. But also, we only publish every two months, so there are things that we can do online, it offers us a chance to do things that we are excited about that we couldn’t do in print. On whether he is selling the brand, the print magazine, the digital, or 1843, no matter the platform when he approaches advertisers (Mark Beard): We’re selling the content and the environment and an audience, of course. We have an extremely engaged audience. We are creating content and placing that content on the platform where we know they are grazing. We are able to offer incredible insight to advertisers as to who the audience is; we’re very clear that they are in the main existing Economist readers. We can describe exactly where they are, they are loyal subscribers. On whether 1843 now has a different audience on digital than in print or it’s the same audience, or somewhat of a shared DNA (Mark Beard): We’ve been asked to describe a base for The Economist so let’s talk about those first, because a significant number of readers of 1843 are Economist subscribers. 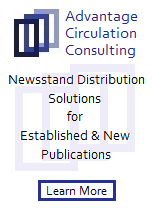 The subscribers who receive 1843, some of them are print subscribers and some are print plus digital subscribers, our bundle subscribers. And some of those people, of course, will be accessing 1843 content through the app, rather than from just receiving the print copy. And we do know that the make-up of our print plus digital subscribers is slightly different from our print only subscribers. You might imagine, for instance, that they’re younger and more digitally engaged. By making our content available on this range of platforms, we are able to tap into the different audience profiles of our subscribers to The Economist. On what someone would find him doing if they showed up unexpectedly one evening at his home (Mark Beard): You would probably find me walking my dog. I live a half an hour outside of London in a leafy green village. It’s a complete antidote and opposite of London. I generally come home from work and the first thing I do to relax is take our Border Terrier, Oakley, for a walk to clear my mind. On what someone would find her doing if they showed up unexpectedly one evening at her home (Rosie Blau): I usually hang out with my kids, they’re quite a good leveler in all things, they’re six and nine. We discuss their day and I tell them silly things about mine, but for me that’s a great way to come back to earth and think about the really important things in my life, which is my family. On what she would have tattooed upon her brain that would be there forever and no one could ever forget about her (Rosie Blau): Maybe the word interesting. On what he would have tattooed upon his brain that would be there forever and no one could ever forget about him (Mark Beard): Positivity. On what keeps them up at night (Mark Beard): What has been keeping me up at night recently is the switchover of our digital platforms and namely the move from websites and apps to being incorporated into The Economist app, which as I said before, sounds like a simple job on the surface, but had lots of intricacies. Of course, we had a launch deadline to work toward and everyone was working to ensure a smooth transition of the app of 1843 appearing in The Economist app, which fortunately it did. But as you can imagine, there were a few sleepless nights before that. And now the lightly edited transcript of the Mr. Magazine™ interview with Rosie Blau, editor in chief, and Mark Beard, publisher, 1843 magazine. Samir Husni: It’s rare to see a magazine relaunch get as much attention as 1843. Is it because it’s The Economist or is it because you’re refining James Wilson’s vision of what a magazine was back then and what a magazine is today? Rosie Blau: I’m not sure that we’re redesigning James Wilson’s vision, but we have continued to interpret it, of course. I think The Economist is obviously a very well-known and respected and loved brand and we’re part of that and we’re really delighted to be in the same wit and rigor and trustworthy independent journalism, but on very different subjects and in a very different mode. Samir Husni: So, do you think that’s the reason? 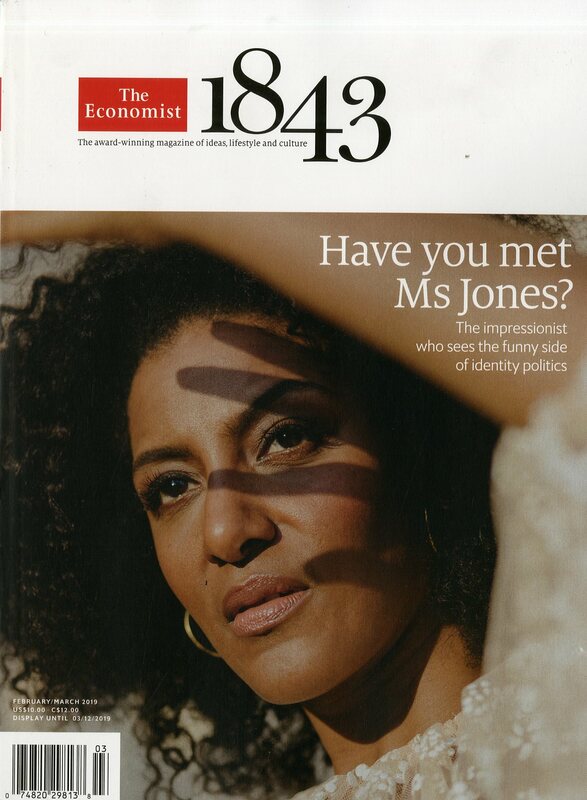 Let’s say you’re doing 1843 without The Economist and you decide to relaunch it, would you have received the same media attention, if nothing else? 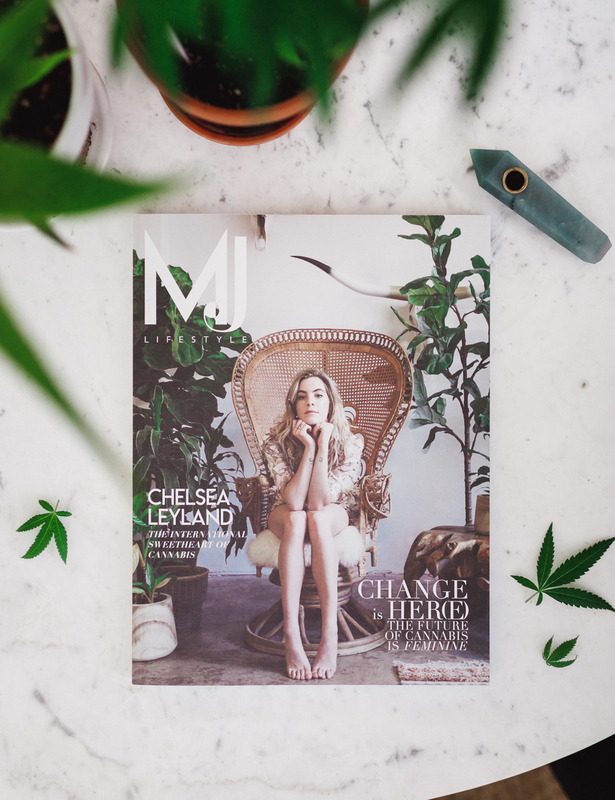 Rosie Blau: Obviously, we like to think that it’s a brilliant magazine that deserves the media attention in its own right, but it’s always wonderful to have the backing of a well-respected and already well-established and well-known brand behind us. So, we’re very lucky. Mark Beard: From the commercial perspective, it’s because we’ve kind of captured the mood in the sense of many publishers and that is, there is a need to change the business model and create content that readers and advertisers can engage with in different ways. And I think one of the reasons why we are seeing so much attention from the readers is that we are doing lots of that all in one go. So, publishers around the world are looking at how they can create film content and podcast content and they can place their content in digital environments like apps and online. Of course, what you’re seeing from the reader is that we’re doing much of this at the same time, and we’re able to do that in many instances because we are part of The Economist Group and we can tap into all of the good things that our association with The Economist brings. And I think that is also a valid reason as to why there is quite a lot of attention on this event, because we’re doing this holistically in one go, when many of the publishers kind of did that tied into various different platforms one at a time. 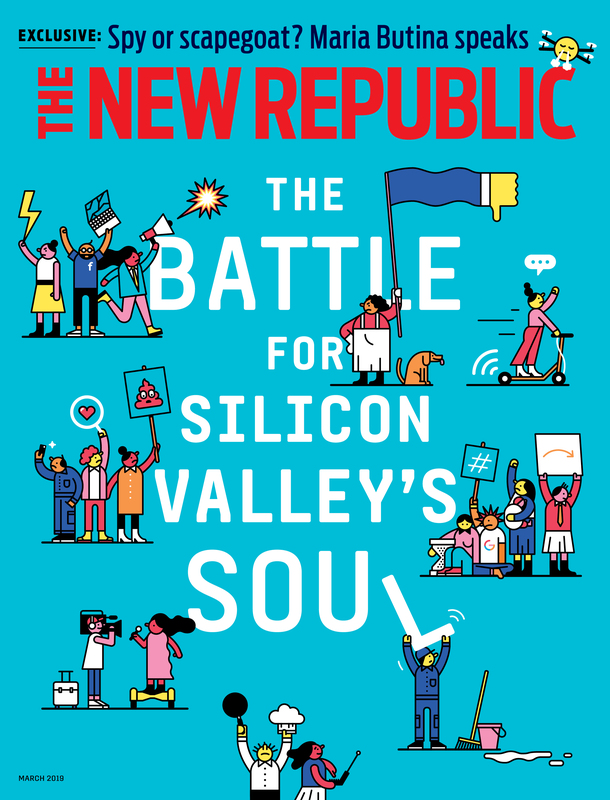 Samir Husni: Tell me then, we moved from Intelligent Life and a tiny 1843 to a big, dominant 1843 on the cover, tell me about the progression and the thinking behind the relaunch and what you’re trying to achieve today as an 1843 brand. Rosie Blau: The cover has been a big part of the discussion, obviously, about what we want to do as a magazine. For me, the goal to create the cover represented many different things that we were trying to do. My aim is that when you extend 1843 in whatever format, you find it surprising, it makes you smile and it leaves you with something that you want to share. It should be funny, but it should also be beautiful. And those are a lot of things to try and get into one place. 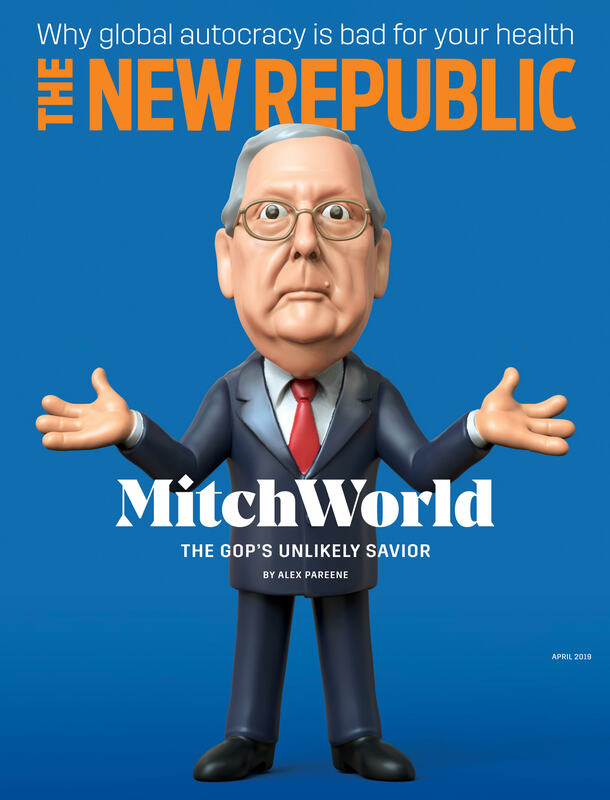 Previously, we have almost always run a person on the front of the magazine. And as you know from the magazine world, that tends to be shorthand in the magazine world for: this is a magazine for men or for women. So, I’m not ruling out the idea that we might put people on the cover in the future, we may well do that, but for me, I wanted to move away from something that instantly looked like a magazine for men or for women and instead have this message of: this is something super-interesting and funny and challenging. Samir Husni: Do you think the role of the magazine cover in this crowded information age has changed at all? Rosie Blau: I think it has changed because as you say it’s such a crowded market. But I think it’s also in that crowded market, as I said, there are these shorthand’s that we use to signal what we are. And so it’s difficult; interesting, but difficult, to signal that we’re something different. So, to me this is a move in that direction. And then in terms of the size of the logo, the first thing that I wanted to do when I became editor was get rid of the white strip across the top of the previous incarnation of 1843, because I just hated it. (Laughs) And we had a lot of discussions about it and we kept coming up with different covers, though we very often would have, with the possible new covers or the new logos and all of that, the white strip every time and that was one thing that I was adamant about that I didn’t want. Samir Husni: Mark, as you see this relaunch and as you see the changing landscape of even the magazine business model, The Economist has always been as much circulation-driven as advertising-driven. What’s your business model for 1843? Mark Beard: The relaunch is going to enable us to do two things and that is bolster reader revenue and advertising revenue. So, one thing that we are seeing is that both readers and advertisers are wanting to engage with audiences in a range of platforms and by relaunching 1843 on a number of platforms, we make those platforms available to advertisers and that will bolster advertising revenue. But also we make the content more engaging to readers too and they can read us where they want to read us. And that has two benefits: there will be more people reading 1843 and we expect more to subscribe to 1843, but what we also see is that in many instances 1843 is a kind of onramp and an entry point into the Group’s other products, so people may begin to subscribe to 1843, but then also move on to ultimately subscribe to The Economist. 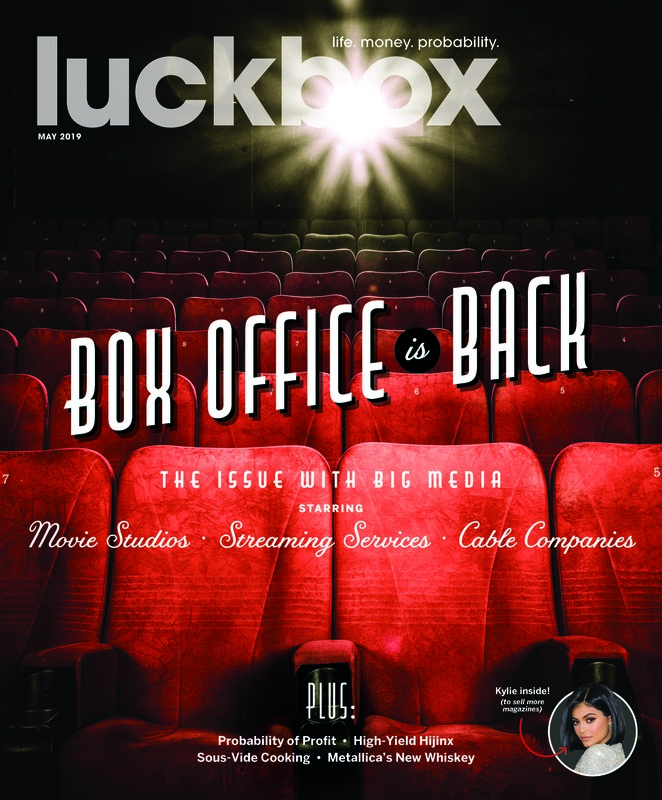 The idea behind the relaunch is to bolster both sides of the business, circulation and advertising revenue. Samir Husni: And Rosie, you mentioned in one interview that you start with a stories-first approach. Almost all of the editors I’ve interviewed tell me they start with an audience-first approach. Is the stories-first approach similar to an audience-first approach? Rosie Blau: I suppose so. What tends to happen if you discuss a story is sometimes, if you’re thinking about different ways to do a story, you reach the realization sometimes quickly, sometimes more slowly, that it’s not that interesting. And you don’t continue to be interested in it. So, in that sense, yes, I think we try and think about how attuned we are and how excited we are about stories, with a gauge for how we do them and what will work for our audience too. The thing about the stories-first approach is that the idea is there are really exciting things that we don’t tend to think about. And so for me, if I’m thinking what do the readers want or what do the audiences want, I don’t know that they know what they want. Part of the point is to challenge and surprise them, and it’s hard to think, okay, we know that this is something that they want, we know that they want more stories about hem lengths or whatever. So, I think what we’re trying to do is trust our intuition. For me, being a journalist is all about trusting your intuition, but there is something interesting here and let me find out more. And that’s really what we’re going with, kind of looking at these stories and thinking in what way can we push them and in what ways might we see them. So, that’s the stories-first approach. Samir Husni: Is that the genesis of the tagline: Stories Of An Extraordinary World? Rosie Blau: What that comes from, it was a very hard thing to come up with, and one of the other contenders was: Life, The Untold Story. What we feel we do best and what we really show in common with The Economist is this idea of challenging and posing and questioning assumptions. And our subject is “your world” and “your stories” and “the world that you experience.” And so my main aim is to be looking at the things that we take for granted, the things that we see around us, the issues of our day and the enduring issues of our time, and try and look at them in new and different ways. And I feel that sets incredibly well with the current news, which we are all subjected to a deluge of news and even news junkies, even those of us, and I include myself in those news junkies, we sometimes get sick of the constant breaking news, but also the fact that the world out there seems pretty scary and a worrying place, and like other Brits, I feel humiliated by my government right now. And so there’s a difference; it’s not saying go bury your head in the sand, but it’s saying there is an optimistic and incredibly positive side to the mess that lives around us. And I want us to see that extraordinariness. I want us to feel excited about understanding our own world better. Samir Husni: Mark, how does it feel to be a publisher of a global publication? Yes, it is based in Britain; yes, it is also in the United States, but it’s available all over the world. Does that make you think twice when you wake up, thinking wow, this isn’t just a British publication, it’s a global publication? Mark Beard: I’m obviously very proud to be publisher of 1843. It’s a job that I hoped I would get at some point in my career, so I’m very proud to have the role. One of my other roles at The Economist is I have past experience marketing for The Economist. And of course, The Economist is also global. So, I’m very used to operating in a global environment and the basics and challenges that come with that. And trying to benefit from being able to roll things out globally while understanding that there are local nuances to what you need to do to perform effectively around the world. But yes, I’m extremely proud to be publisher of 1843. And more so at this point in time rather than any other; it’s such an exciting time for a publication and we’re transforming the business plan from top to bottom. We’ve looked at every single element of the commercial plan, from the brand positioning to the platforms that we want to be present on. And we’ve made conscious decisions for everything that we’ve done. I’m very proud, and the organization has been very supportive and patient and listened to what we believe and want to do. And they have supported Rosie’s vision, so yes, it’s a very exciting and thrilling time for us. Samir Husni: And what has been the biggest challenge that you’ve faced and how did you overcome it? 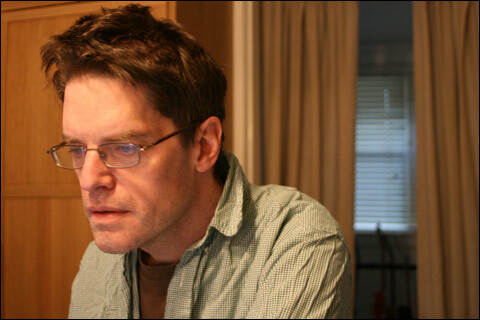 Mark Beard: To some extent we can talk about the digital platforms and as you know, since apps and websites have come into fruition for publishers there has been a want and a willingness on the part of publishers to set up individual websites and apps for each and every publication that is within their stable. And we were one of those publishers for a period of time, we embarked upon a journey of setting up individual platforms, those apps and websites for 1843. And one of the things that Rosie and I certainly believe is that we should be taking much greater advantage of The Economist’s audience. And because of that we have commercially gone on a journey to incorporate 1843 content into more of The Economist’s ecosystem. So, one of the things that you’ll see if you were to open The Economist’s app today is that 1843 now sits within The Economist’s app, which enables many of our subscribers to The Economist to also benefit, read and engage with 1843 content. And that might look like a relatively simple process, a good strategy and relatively simple on the surface, but you can well imagine that working with the tech teams and the editorial teams to move content from one platform to another is not simple and that’s been challenging, but also rewarding because we’ve been told by a number of people that what we’re doing is cutting edge. And creating an app environment where our consumers can consume all of our content in one place is something that is added again, as I understand it. Samir Husni: You have a long-read section on the web, on the digital side; does this go against the norm, where people just want snippets on the digital side and long reads in print? Are you swimming against the current or do you know something that other people don’t? Rosie Blau: Do I know something that others don’t? Well, I don’t know, but what I do know is that with our content over recent years, the long reads are the things that people read most, read for longer, depending on how long they are. Our most popular stories are always our long reads. So for us, it’s a question of how we do more of it, not how we do less. And we actually find that the snippets often don’t do nearly as well, even things that we think might do well. So, our experience is that long reads do extremely well online and if we have the resources to do more of those, then we will. Samir Husni: How are you going to differentiate that from the long-read in print? 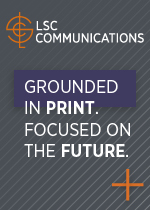 What’s your philosophy on giving print what print deserves and giving digital what digital deserves? Rosie Blau: Some of it is exactly the same and the features that we run in print also go online, and those are extremely popular typically and continue to be popular. But we don’t have a distinct form for long-form features online versus in print. There are a lot of things that we’re thinking about, different types of long reads that we might do for online only to help us be more timely, and things that work better for an online audience than in print, because we have quite a long delay even between going to press and coming out. But also, we only publish every two months, so there are things that we can do online, it offers us a chance to do things that we are excited about that we couldn’t do in print. To go back to the stories-first idea, the idea of telling personal stories and trying to sort of illuminate and question our assumptions from the ground-up and through individual narratives is something that we apply across all formats, so that’s what we think about when we think about online features too. Samir Husni: Mark, do you do the same when you are selling? Are you selling the brand; are you selling the print magazine; are you selling digital; or you are selling 1843 regardless of the platform? Mark Beard: We’re selling the content and the environment and an audience, of course. We have an extremely engaged audience. We are creating content and placing that content on the platform where we know they are grazing. We are able to offer incredible insight to advertisers as to who the audience is; we’re very clear that they are in the main existing Economist readers. We can describe exactly where they are, they are loyal subscribers. So, on the whole we have a very compelling proposition I think, not only to readers but to advertisers in that if they want to reach a certain audience on a range of platforms, we are perfectly positioned now to do that. And I think that’s a compelling proposition to advertisers who are, in increasing numbers, when they’re talking to publishers like us, asking for responses to their advertising briefs. And they want us to go back with a multiplatform response. And in the past, a few years back, we could have gone back with a print-only response, but in many instances advertisers are now saying we want you to tell us how you can help us reach these audiences in a range of platforms. And I’m proud that we can now to do that. 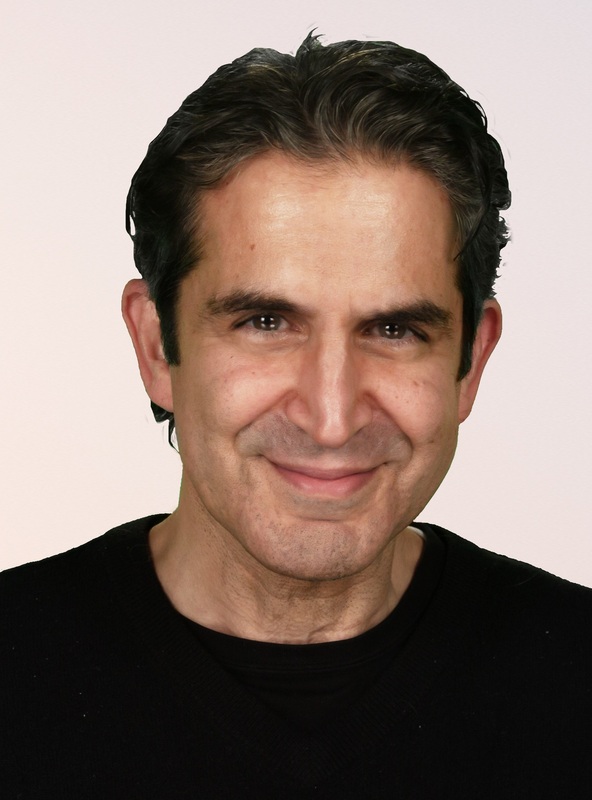 Samir Husni: Are you finding out that you have a different audience on digital than in print or it’s the same audience, or there’s some kind of shared DNA between the print and digital audiences? Mark Beard: We’ve been asked to describe a base for The Economist so let’s talk about those first, because a significant number of readers of 1843 are Economist subscribers. The subscribers who receive 1843, some of them are print subscribers and some are print plus digital subscribers, our bundle subscribers. And some of those people, of course, will be accessing 1843 content through the app, rather than from just receiving the print copy. And we do know that the make-up of our print plus digital subscribers is slightly different from our print only subscribers. You might imagine, for instance, that they’re younger and more digitally engaged. By making our content available on this range of platforms, we are able to tap into the different audience profiles of our subscribers to The Economist. I should also say that 1843 is helpful for us when we are attracting more women and females to the Group, and we know they’re a greater number of readers for 1843. So, 1843 is also useful in that regard. Mark Beard: You would probably find me walking my dog. I live a half an hour outside of London in a leafy green village. It’s a complete antidote and opposite of London. I generally come home from work and the first thing I do to relax is take our Border Terrier, Oakley, for a walk to clear my mind. Rosie Blau: I usually hang out with my kids, they’re quite a good leveler in all things, they’re six and nine. We discuss their day and I tell them silly things about mine, but for me that’s a great way to come back to earth and think about the really important things in my life, which is my family. Rosie Blau: Maybe the word interesting. Mark Beard: What has been keeping me up at night recently is the switchover of our digital platforms and namely the move from websites and apps to being incorporated into The Economist app, which as I said before, sounds like a simple job on the surface, but had lots of intricacies. Of course, we had a launch deadline to work toward and everyone was working to ensure a smooth transition of the app of 1843 appearing in The Economist app, which fortunately it did. But as you can imagine, there were a few sleepless nights before that. You are currently browsing the archives for the Innovation in print category.